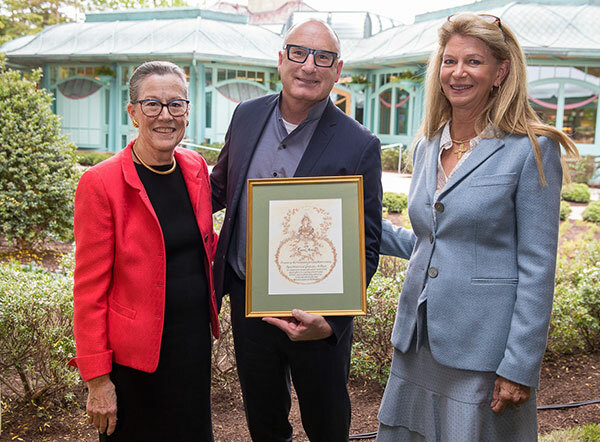 The Preservation Society of Newport County's annual Laurel Awards for outstanding service, artisanship or leadership were given in 2018 to the three lead contractors who brought the Welcome Center at The Breakers to life. 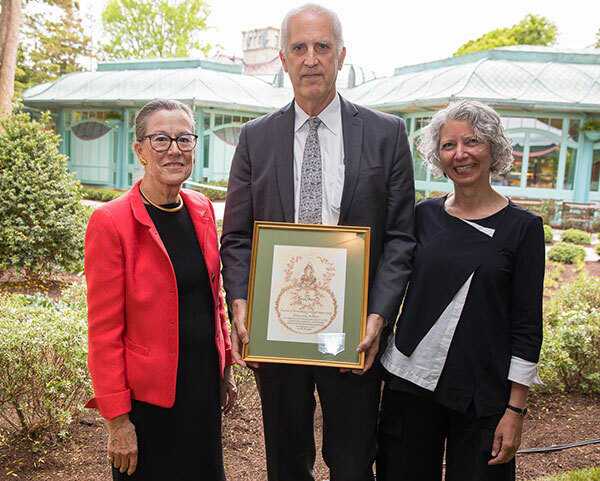 Preservation Society Board Chair Monty Burnham presented the Laurel Award for Artisanship to Alan Joslin and Deborah Epstein of Epstein Joslin Architects, in recognition of their exceptional design in creating a historically sympathetic, functionally efficient and architecturally significant new Welcome Center at The Breakers. 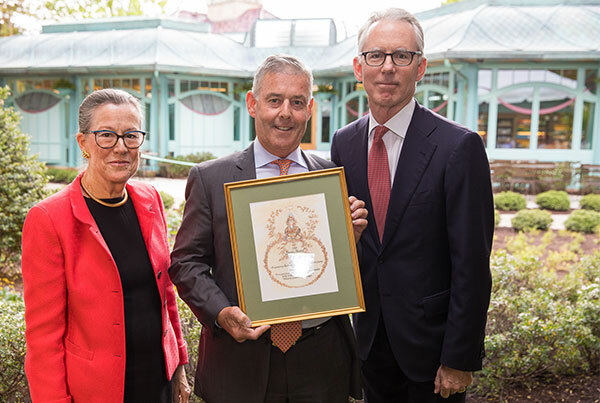 Preservation Society Board Chair Monty Burnham and Trustee Archbold D. van Beuren present the Laurel Award for Artisanship to Michael Behan of Behan Bros., Inc., general contractor, in recognition of their outstanding and innovative work in the construction of the new Welcome Center at The Breakers. Preservation Society Board Chair Monty Burnham and Trustee Eaddo Kiernan present the Laurel Award for Horticulture to Doug Reed of Reed Hilderbrand Landscape Architecture, in recognition of their exhaustive research and design efforts in creating a historically derived and aesthetically appealing landscape plan for the new Welcome Center at The Breakers.